Metal detecting in Arkansas follows the ARPA (Archeological Resources Preservation Act). Although, the term “metal detecting” does not exist in this law, the law does specifically state that no artifacts of 100 years or older can be removed. Be sure and read through the entire page at the link below. It is information that you should understand if you are going to metal detect in Arkansas. People have been arrested for not knowing what the laws are. Don't be one of them! Pay particular attention to the area of this law that is attributed to digging and removing artifacts on State or Federal lands. Go Here to get a better understanding of the ARPA law. It's important to understand that I am giving you information about the laws that deal with Arkansas State lands. Detecting in Arkansas parks has their own set of laws. You should check with your local parks as well as with your local villages and towns for their laws in regards to metal detecting. Remember, you can metal detect in Arkansas, however, you just can’t dig any artifact that is one hundred years old or older. Detecting on State beaches is allowed if you get a permit. Be careful. You need to ask if your permit is just for the beach area. Some States do not allow detecting outside of the beaches even with a permit. 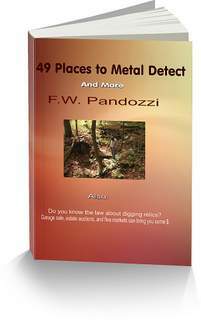 You need to understand that you cannot metal detect on any State or Federal lands in Arkansas. Metal detecting in Arkansas is permitted only in areas that are not designated State or Federal lands. Be sure to check the area before entering with a metal detector. I receive many emails from people who are upset with the laws that restrict our ability to enjoy the hobby. Many individuals just give up, and their detectors end up in the closet, never to be used again. That’s the wrong approach. Giving up the hobby of metal detecting is a defeatist attitude that only gives more power to the bureaucrats. Giving up is exactly what they want us to do. I’m not saying that we should break the laws by going on to State Lands and dig up as many finds as we can. What I am saying is that we should all follow the law, but challenge them by speaking out against them. I know many instances where the laws that govern detecting in certain areas have been reduced to allow it. But this change came only after individuals spoke loud and clear. I am not responsible for any person who violates these laws or for any person arrested for breaking such laws. These laws do change and it is up to you to stay informed. For a more detailed look at the ARPA law. 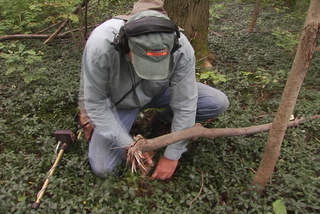 Do you own a metal detector? If not, and you are interested in purchasing one, don't spend a lot of money. You can buy a nice detector for between $200 and $350. You don't need all of the bells and whistles. If you purchase an inexpensive model, and learn how to use it, you'll be rewarded with a great adventure. Have you ever been metal detecting in Arkansas ghost towns? I've written a SPECIAL REPORT that explains how our government, politicians, and beauracracy has stolen Americas lands, and has manipulated land laws to benefit no one but their own arrogance.